Home / Fanboy News From Around The World / Fanboy News! Charlie Hunnam Tells Off Autograph Dealer! 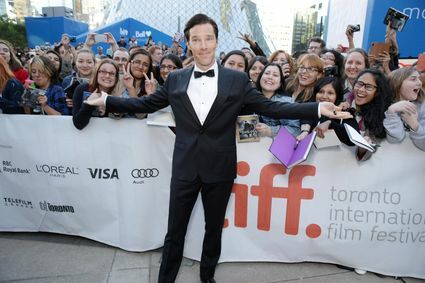 Benedict Cumberbatch Makes How Much Off Fans? Autograph Hunters An Endangered Species? And More! Anyway, some cool stuff this week… Dude, Benedict Cumberbatch makes bank at conventions! Charlie Hunnam tells off Autograph dealers, and more! Rhys Hoskins, who apparently spent the majority of the season while in the minors watching video of Aaron Judge and scoffing, is a Colossus striding the earth right now. On Wednesday night, the Phillies’ rookie first baseman bashed his 18th homer of the year—all of which have come in a mere 34 games since he was called up in August. And his shot off the Marlins’ Vance Worley—part of a seven-run inning for Philadelphia—was an opposite-field shot so impressive that his own teammates were giving him the celebrity treatment. If you take a peek at Serena Tung’s Instagram account any time over the first few weeks of September, her feed is a sea of famous faces.You’ll find shots of her leaning over a barricade to , grinning as Shia LaBeouf holds up the devil horns beside her, and hamming it up with Jessica Chastain, Armie Hammer, Colin Farrell and sunglasses-adorned Idris Elba.While the celeb spotter and sales worker has met hundreds of stars in her 10 years of attending the Toronto International Film Festival, she’s rarely whipped out a Sharpie and requested an autograph. He plays savvy sleuth Holmes in TV’s Sherlock. But it seems Benedict Cumberbatch has a cunning way about things when it comes to making money from attending fan events, off screen. According to The Sun, the 41-year-old could have earned £240,000 at one event in July, over the course of two days, just by posing for pictures with fans and signing autographs. 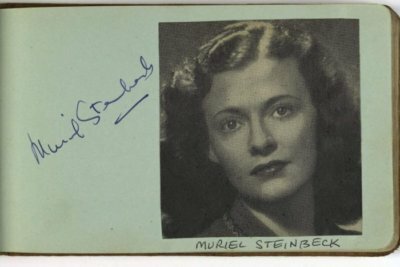 Her autograph book, recently acquired by the National Film and Sound Archive (NFSA), includes more than 90 signatures and handwritten comments from the big names of the day. They include Chips Rafferty, Ruth Cracknell, John Meillon and Muriel Steinbeck. Fanboy News! 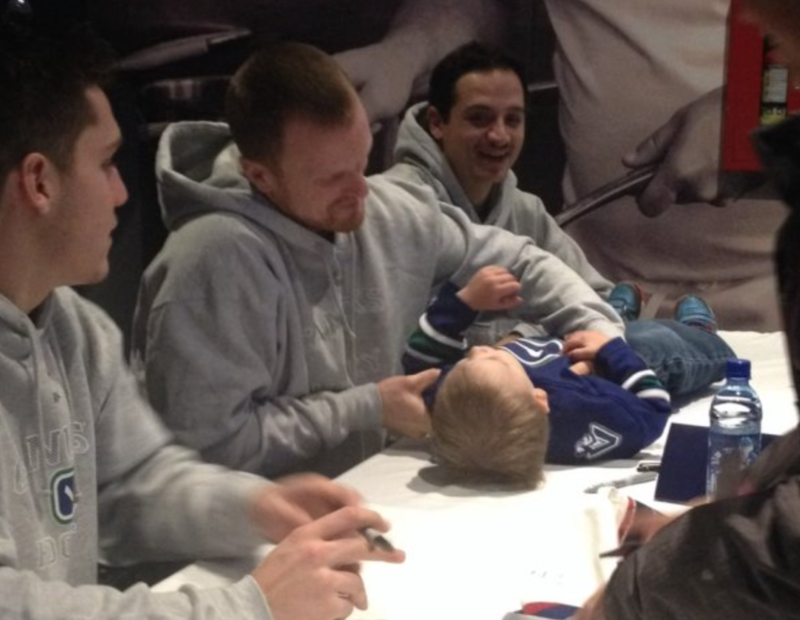 Canucks Autograph A Baby? 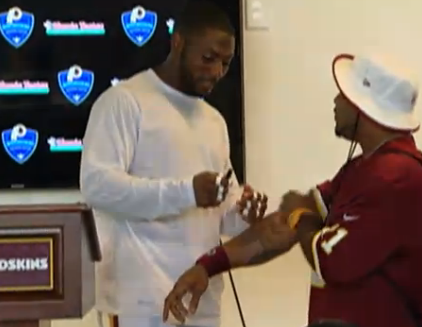 Signing Fights? What Teams Respond To Fanmail? Paul Pierce Signs For Fan In The Middle Of A Game! That’s the nicest way to tell someone off that I’ve ever heard. Charlie was pretty classy about it. I’m on his side. And gee, looks like Bendict is really on to something there.. about 3 years after all of the other Marvel stars.